Having really fine hair is a struggle sometimes. You have to wash it frequently in comparison to other ladies just to keep it looking presentable. No matter how much hair you have, your scalp still seems to get sunburned in the summer. Dry shampoo basically becomes as important as drinking water. You often become a slave to the volumising product of the week. And if there’s any moisture in the air you consider calling in sick for work, socializing and life. And of course, the big one is that styling your hair is not a fun time. There’s all kinds of blogs about how to style your fine hair so that it makes you look… well, fine. But it seems like none of them really work. Still, for bearers of the fine/thin hair curse, there is one magic tool that helps make your hair look flawless. That is the great and wonderful curling iron. By the way, if you’re wondering who the patron saint of fixing fine hair is, it’s Marcel Grateau, who invented the curling iron in 1866 (That’s your history lesson for the day). These days, there’s literally tens of thousands of curling irons on the market though. 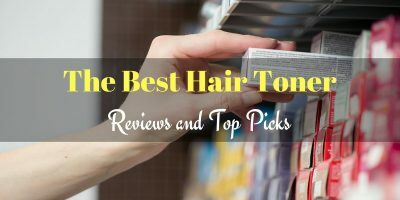 Some of them are designed to be a saving grace for fine hair, but others are about as useful as a pinecone when it comes to styling. What should you get? Which iron is the one for you? Which one should you trust with turning your bedhead into a mane of magnificence? We’re going to recommend 5 curling irons and wands so great you’ll never want to hide your hair again! Before we begin, a little PSA: There are no metal ones on this list. Ceramic irons are safer for your hair and better for styling. If you take nothing else away from this article, at least listen to us here. 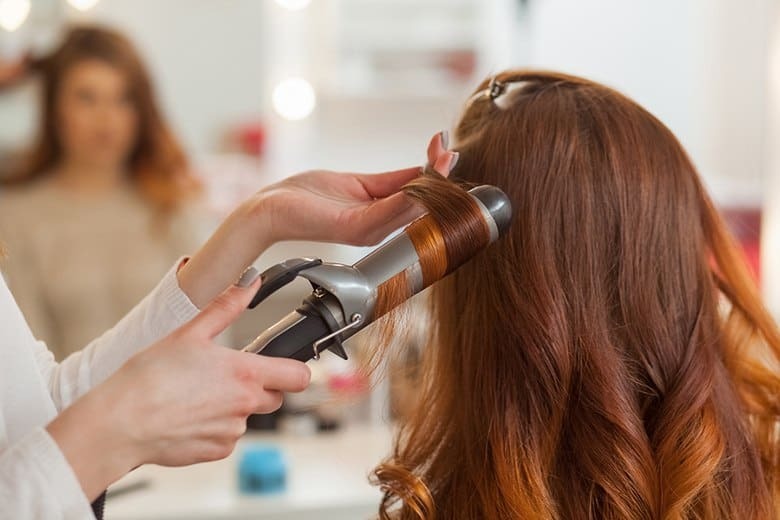 Metal irons can often strip away important natural oils and spike in temperature, damaging your hair. Ceramics distribute heat better, cutting down on heat damage, and they help reduce frizz. There’s the Salon Collection Pearl Digital Ceramic Curling Wand from Remington T|Studio, which is designed to not only look really cool, but also work wonders on your hair. This salon-quality curling wand boasts a pearl-infused ceramic barrel, making it one of the safest irons available for your hair. Next on our list is the Bombshell Ro﻿d Curling Iron from Sultra, a great piece for if you’ve got long hair that you’re trying to give some life to. Its unique feature is the wide barrel, which helps give large, bouncy curls and those beachy waves you’re always hearing about. The third one down is the 1 1/4 Inch Professional Nano Tourmaline Ceramic Curling Iron, which comes from the hair styling and small appliance giant Conair. This iron comes from one of the most reliable companies in the industry and has their personal guarantee for quality. Bed Head gives us the next iron on the list, the BH320 Rock 'n' Roller Ceramic Styling Iron. This Iron has a unique and frankly awesome design that makes it one of our personal favourites. Perfectly designed especially for fine haired people in mind, this one has been heralded as a savior by women everywhere. Last but certainly not least, we have Xtava’s Satin Wave 5-in-1 Curling Iron﻿ and Wand Se﻿t. An excellent curling wand that is perfect for anyone whether they be thin-haired or thick-haired, short-haired or long-haired. With 5 interchangeable barrels of varying size and design, you get a little taste of everything. This iron is actually listed as the #1 best seller in the hair curling irons & wands section of Amazon at the time of writing this, so we’re clearly not the only ones who think this thing is fantastic. For starters, the aesthetic design is really well done – it is visually pleasing without sacrificing practicality. This iron has a 1 - 1 1/2 inch pink barrel infused with pearl, with helps give it a smoother glide. It can reach the salon standard temperatures, and it’s got a cone shape which adds to its versatility. This iron isn’t just great for fine hair, it’s great for anyone who needs to use a curling iron. Because of its pearl-ceramic barrel, this curling iron will last you a very long time in comparison with other irons. There’s a big and small version of it, so whether you have short hair or long hair, it’s perfect for you. Allow us to introduce you to Sultra’s pride and joy. This iron is a good helper for styling long hair into curls or waves, and the creators boast that it can do it in half of the time it takes for other curling irons. The wide, 1 - 1 1/2 inch barrel gives long haired ladies a lot of variety in terms of style. It is a clipless iron which means that you won’t have to worry about any kind of clip lines, but it also means that it can sometimes be a little difficult to use properly. It definitely takes some practice to get used to. Well, you already know the barrel size from the name, so thanks Conair! Conair is a well-known and well-respected name in the world of hair care technology. They have been a household name for a long time. The company itself has been making small appliances and other household gadgets since the 60’s, and they’re still top of their game. That’s your second history lesson so far today. Isn’t learning fun? So here’s the technical stuff: the barrel is a cross between tourmaline and ceramic, which means that it’s much safer for your hair than most other curling irons out there, and the temperature is reliably consistent. That doesn’t mean it’s good for your hair, nothing that heats up to over 400 degrees Fahrenheit and then cooks your hair is healthy for it. It just means it is not as bad for your hair as the other curling irons out there. The design is good for fine hair, helping you to stay in control while you curl your hair and style it. This is an oddly shaped curling iron to say the least. Still, I wouldn’t dismiss it out-right. Its design is perfect for dealing with fine hair. Fixing fine hair seems to be its primary function. This iron, often referred to as the bubble wand iron, has gotten a reputation for its effectiveness. It is a tourmaline and ceramic styling iron with a cool tip. Generally speaking, clipless curling irons will be better for fine hair as the clamps can create weird kinks and wrinkles in your hair. Usually without a clip, a curling iron can be difficult to use. This styling iron is a clipless design, but because of its shape, it doesn’t need one at all. That’s the magic of the bubbles in the barrel. In terms of simplicity and ease of use, there probably isn’t going to be any curling iron that beats the bubble wand. It’s hailed as a very user-friendly product. We mentioned its reputation earlier, and this is where that reputation comes from. Even the thinnest, most fine hair imaginable can be transformed into delicious curls with this miracle-working device. The minds behind it are both geniuses and heroes among fine-haired ladies everywhere. We saved the best for last. At least in our opinion, if you’re going to start looking for a curling iron, this needs to be the first one you check out. One of the biggest advantages this iron has over all the others is its interchangeable barrels. With 5 different tourmaline and ceramic barrels, this iron can address all of your curling needs. This one comes with 3 large barrels with clamps and two smaller barrels without, so because of this, the iron gives you all kinds of different options. 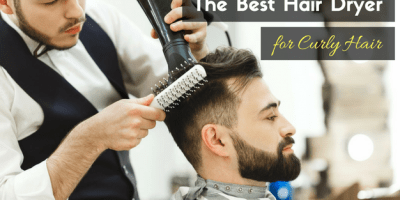 More so than any other iron on the list, this one opens up a whole new world of hair styles – not only for people with fine hair, but for everyone who uses it. The Satin Wave is designed to give even fine haired ladies the option for going from tight ringlets to beachy waves, and everything in between. There is really just one major problem with the iron – and if you have a lot of experience with all-in-one type products, you might already know what it is. To help you with picking the best curling iron for your fine hair, we’re going to explain why these 5 all made the list. There are the things that are important when you’re buying a curling iron. Ceramic barrel – We actually touched on this earlier, but let me reiterate – ceramic barrels transfer and maintain consistent heat better than metal. Metal gets inconsistently hot, making it a nightmare for styling, often leading to burnt hair. Your hair isn’t bacon, it’s not meant to be fried. Other materials we saw like pearl and tourmaline are also good for minimizing the amount of damage curling irons do to your hair. Especially for fine haired people, you must be careful about heat damage. Barrel shape/design – Like we mentioned before, clips can leave creases and visible kinks in fine hair, so the best irons for fine hair will be clipless. Not only that, but each barrel is designed to cater to fine hair of varying lengths. Wide or cone shaped barrels are good for long fine hair. Small barrels are good for short hair. Heat options – It takes a lot to make fine hair look full and bouncy. Salon quality irons hit 410 F, but you may not want to go that high. Fine hair is more susceptible to heat damage than thick hair, after all. What’s important is having a wide range of options so you can find the level of heat that works best for your hair. Fine hair is tough to manage so it is important that you find irons that specialize in fixing it. An ordinary curling iron is not going to cut it.